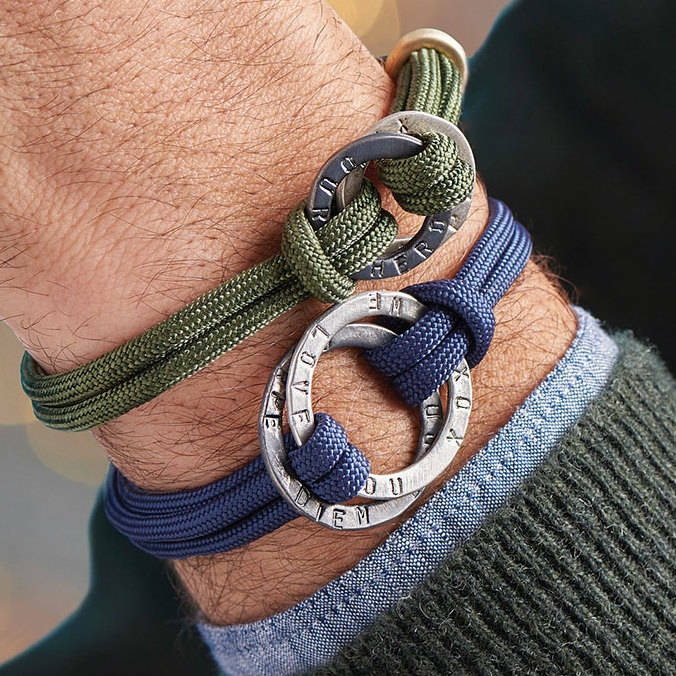 This personalised hand stamped men's silver entwined halo bracelet is the perfect Valentine's gift for any important man in your life. 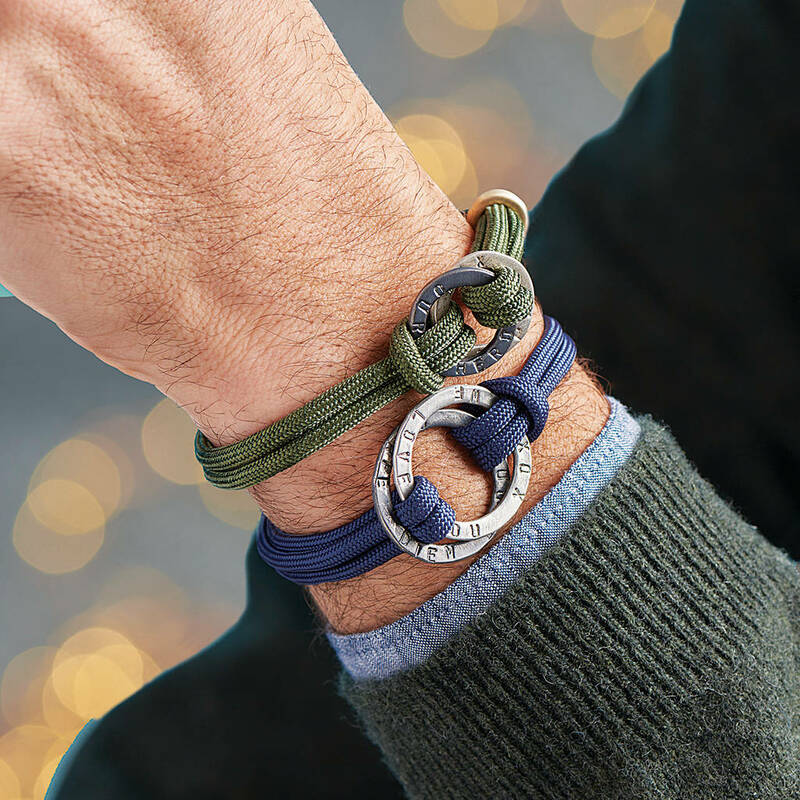 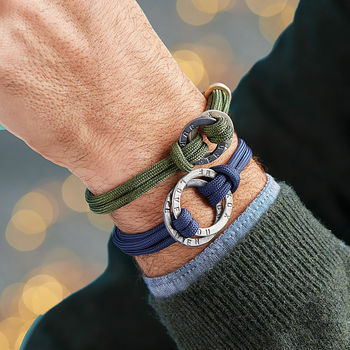 These easy to wear satin silver entwined halo charms are threaded onto an adjustable paracord bracelet to create a friendship bracelet perfect for the modern man. 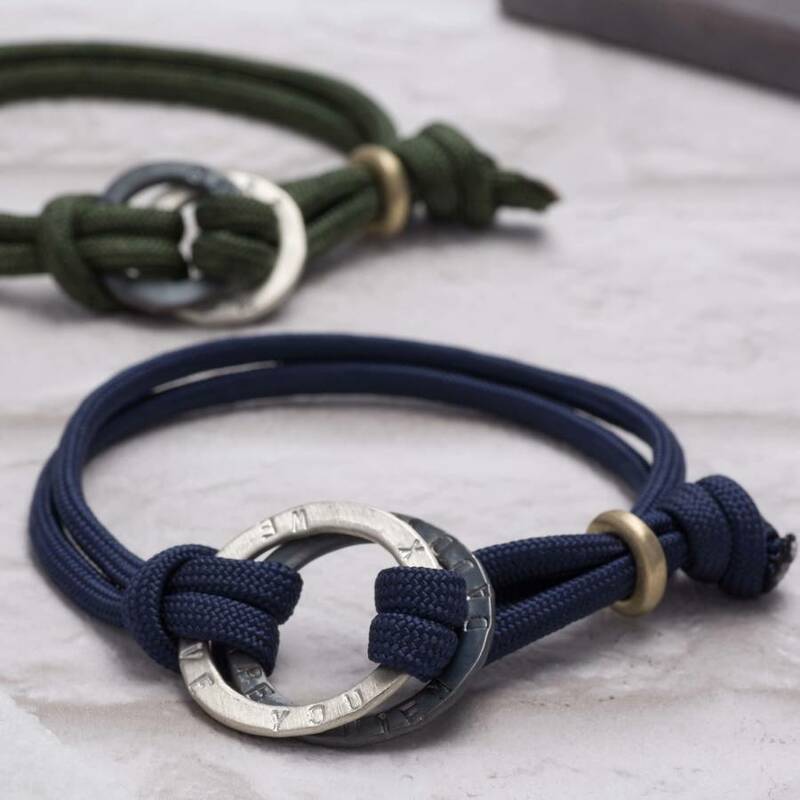 Each bracelet comes with two halos (in a choice of finishes) which can be personalised with up to 18 characters each on the large halo and 12 characters each on the small halo. 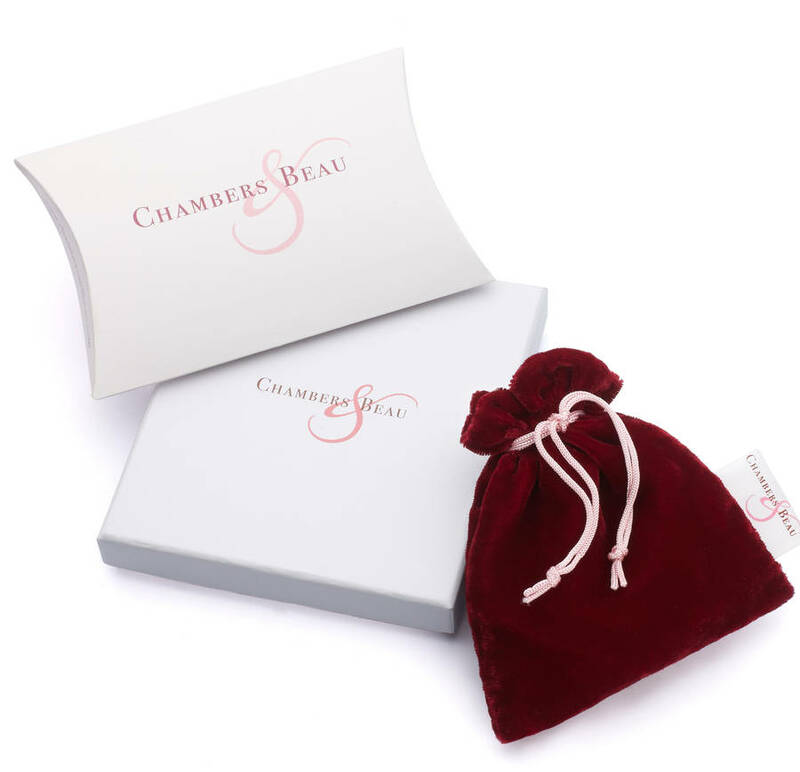 Customise with a date, a name, simple initials, something that makes it personal to you and the recipient. 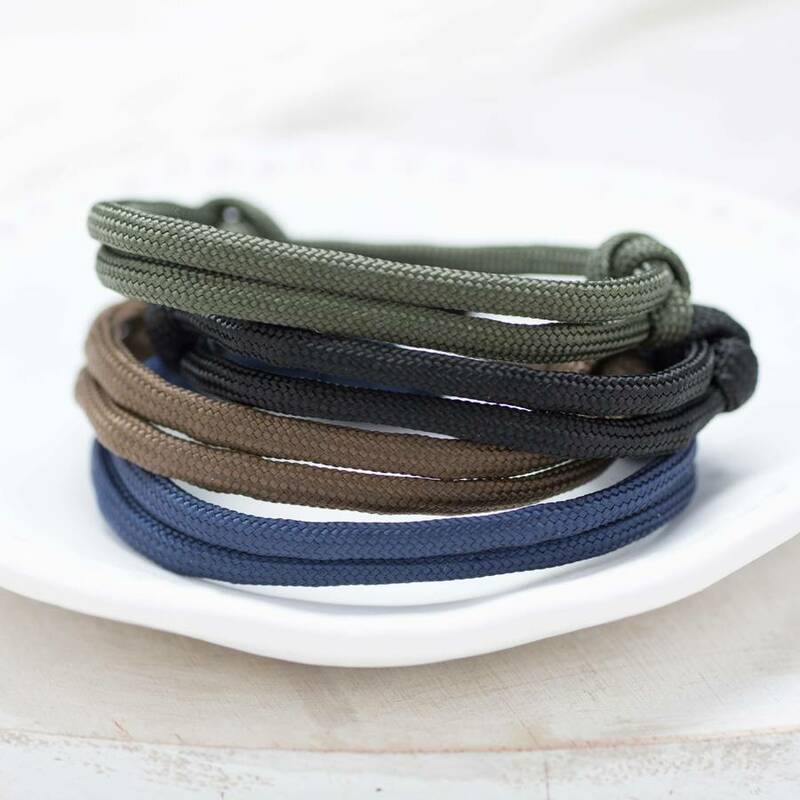 Cord colours available; brown, black, navy, green. 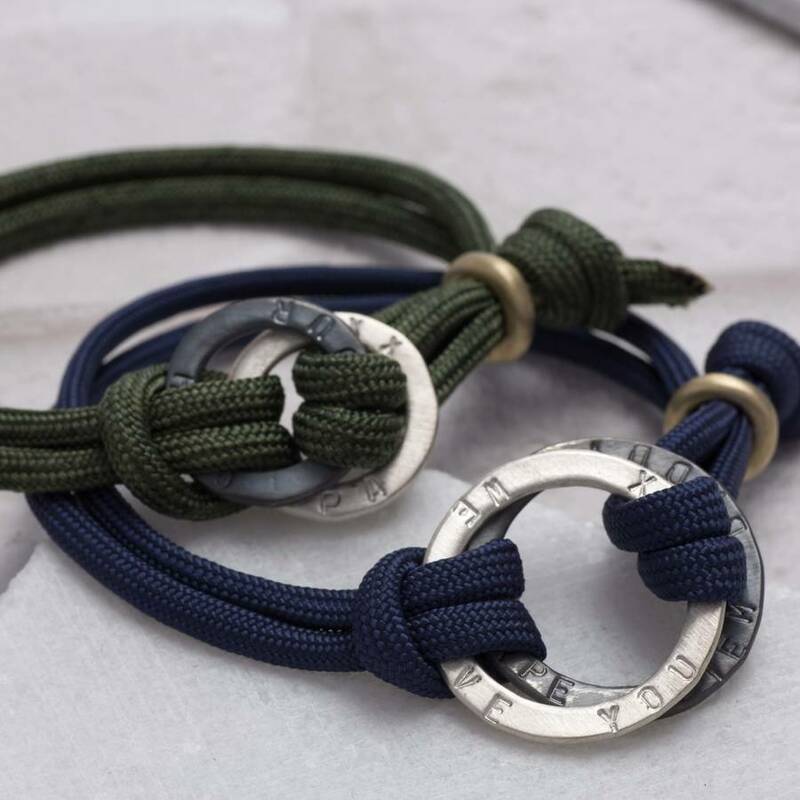 Sterling silver halo charms, brass hardware and nylon cord. 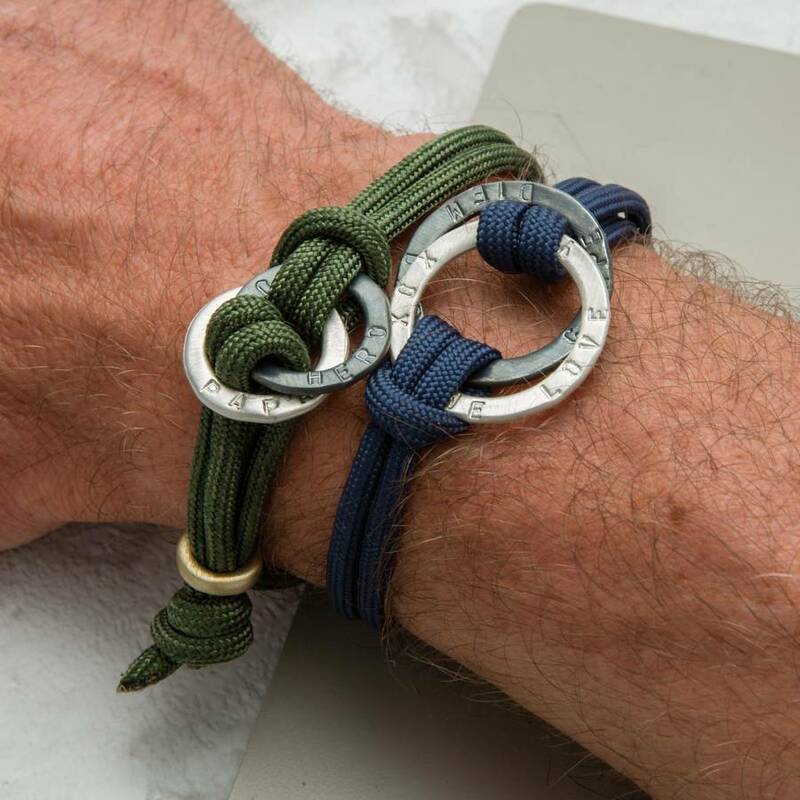 This item will be sent signed for royal mail as standard.